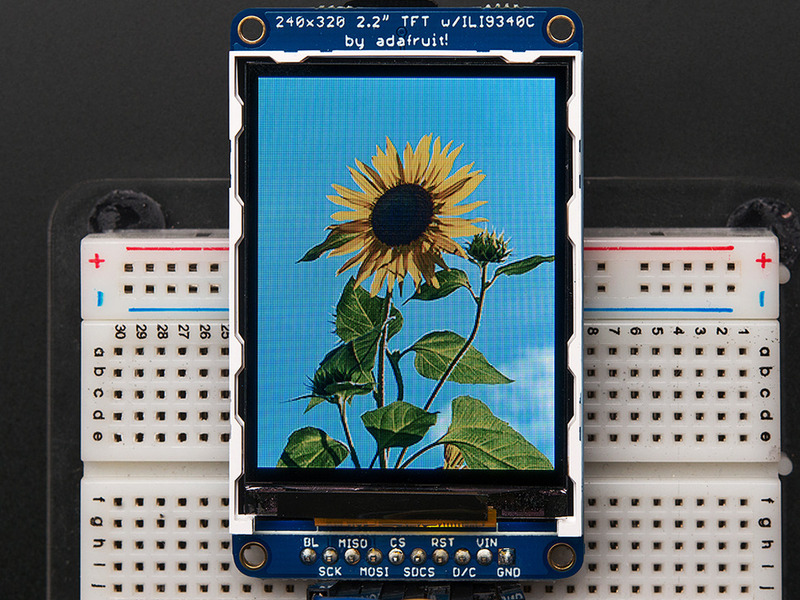 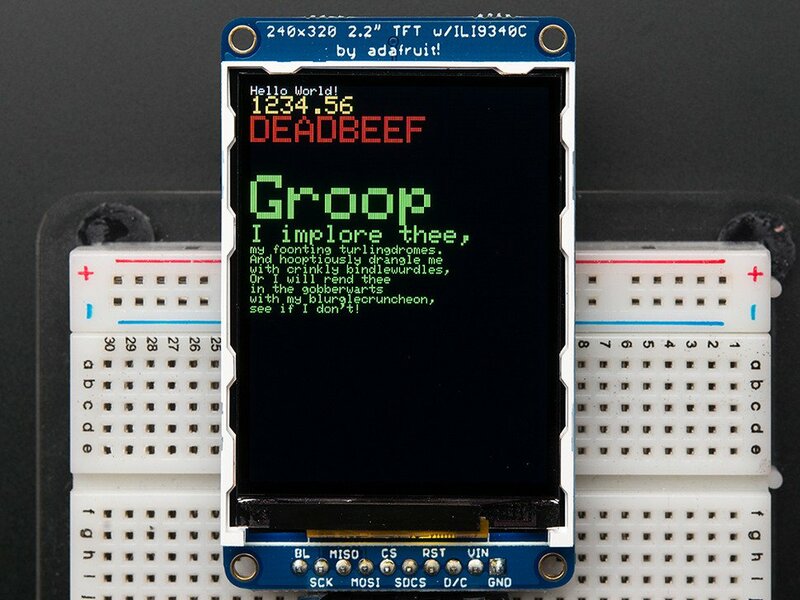 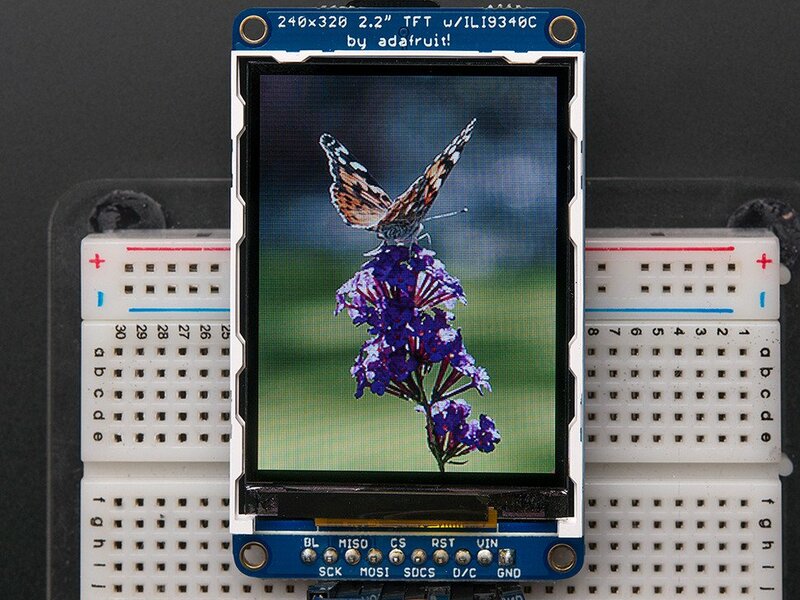 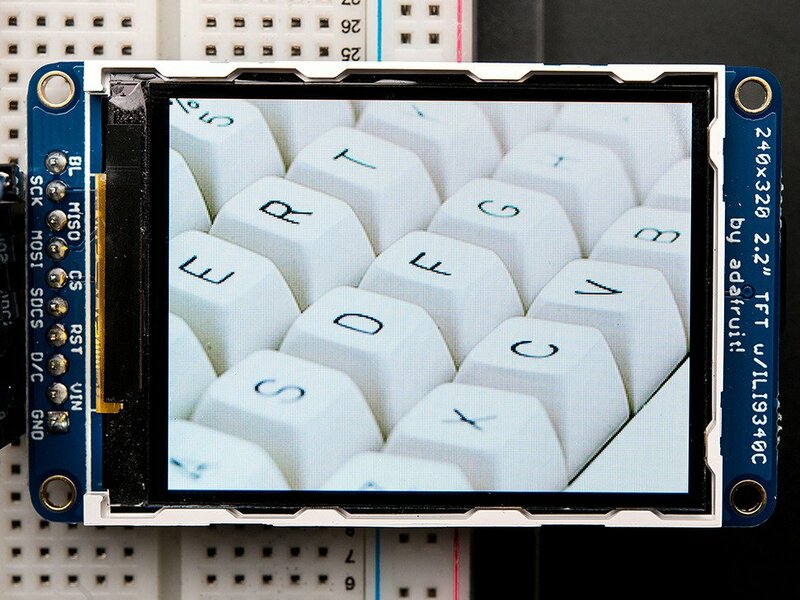 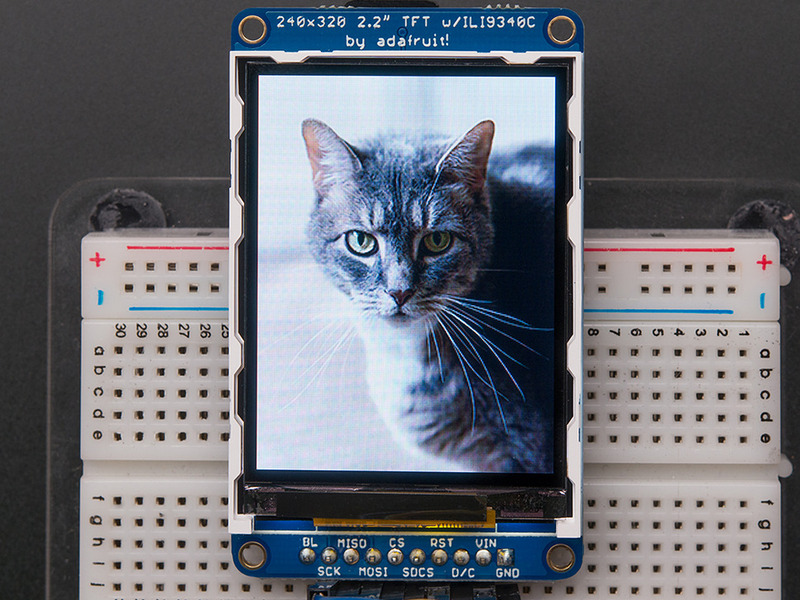 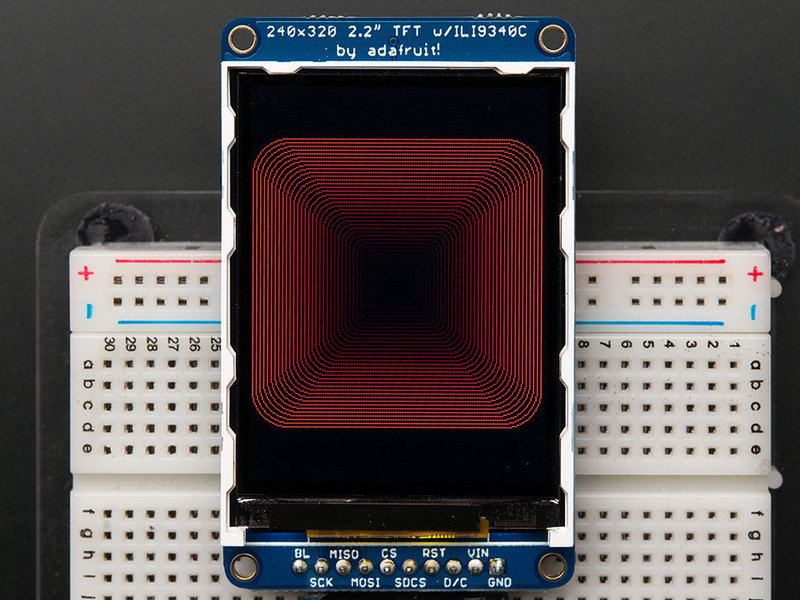 The 2.2" TFT display has 320x240 color pixels. 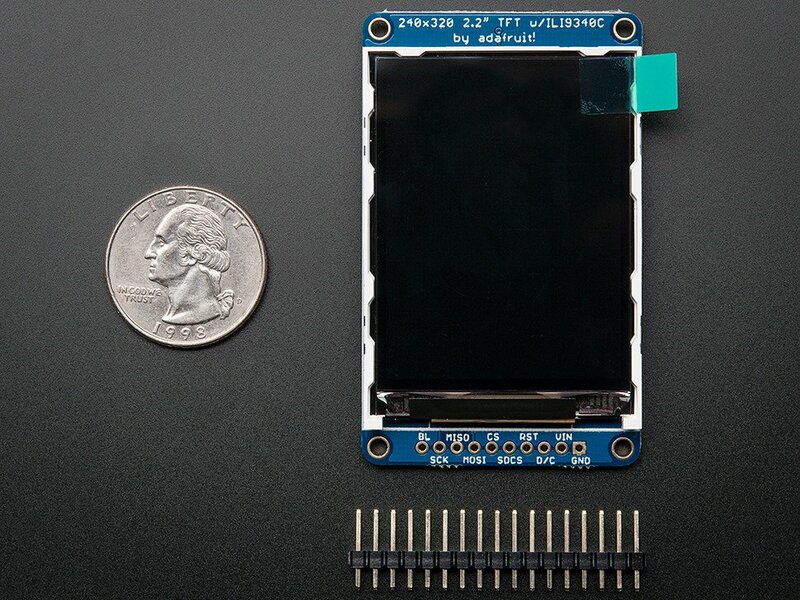 The breakout has the TFT display soldered on (it uses a delicate flex-circuit connector) as well as a ultra-low-dropout 3.3V regulator and a 3/5V level shifter so you can use it with 3.3V or 5V power and logic. 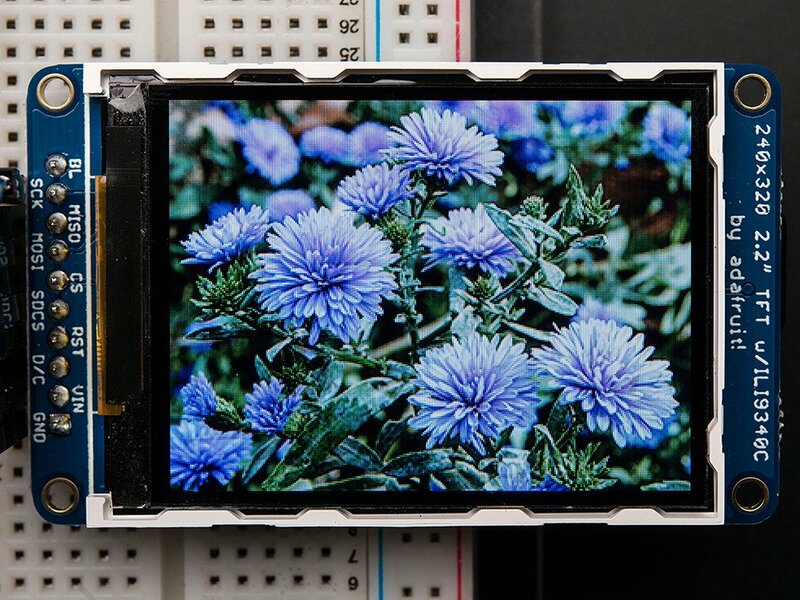 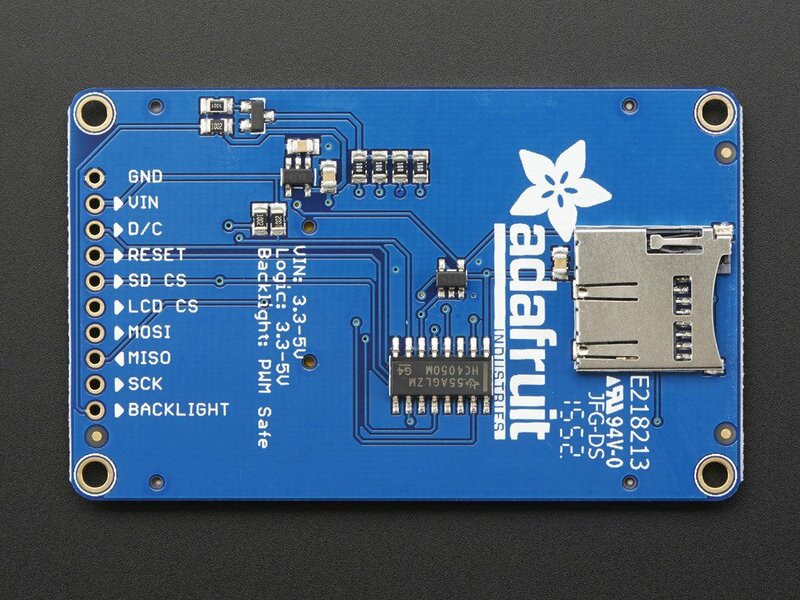 There is a microSD card holder so you can easily load full color bitmaps from a FAT16/FAT32 formatted microSD card.